Valentine’s Day is just around the corner and we all know this is the time of year for love, romance, gifts and……………………engagements. Yup. This is the busiest time of year for engagements. Last year it was estimated that 6 million people would get engaged on Valentine’s Day and I’m willing to bet the number is even higher this year. With so many people getting engaged it’s possible you’ll end up doing the same thing as thousands of other people. It can be hard thinking of something special and unique that hasn’t already been done before. What can really set your special moment apart is the location. Try to pick a place that will mean something to your significant other and bring a lifetime of fond remembrances. Whether you’re looking for a luxurious experience, rustic locale, something low-stress or a place that is personally meaningful, it’s hard to pin down what would be the ‘perfect’ place for the most important moment of your life. If you’re having trouble coming up with some ideas, I’ve got some great options for you. 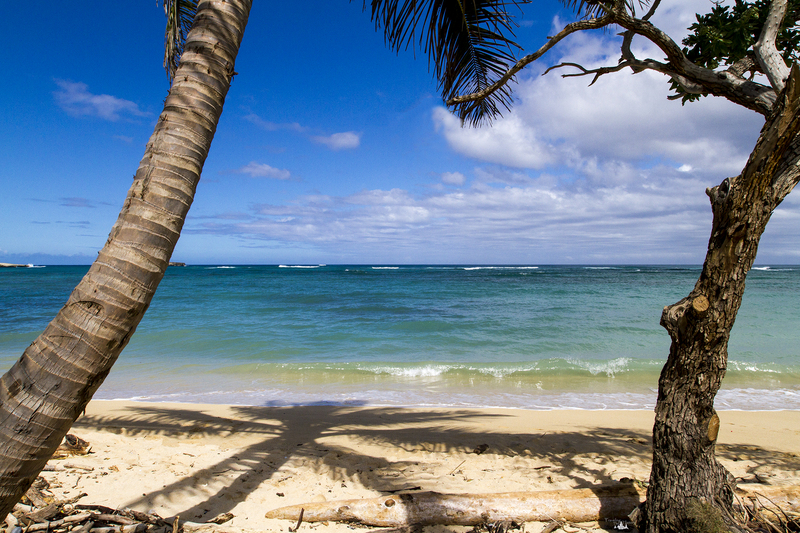 For those of us in the Northern hemisphere, nothing sounds more romantic than the Hawaiian islands, especially during the cold months of winter. The bright blue skies, crystal waters, year-round warmth, refreshing water and breathtaking views make anywhere in Hawaii a proposal dream spot. Whether your plan includes cliffs, crystal-clear waters, sandy beaches, waterfalls, forests, snorkeling, surfing, diving, hiking, ruins, volcanoes, rain, sunshine, historic sites, a picnic, waterfront meals, or any combination of the above, Hawaii has you covered. If you make one plan and decide the day of that you want to change it, all of the Hawaiian islands offer any number of romantic settings that you can visit with relative ease. Plus, if you decide you want to add an amazing outdoor experience to your proposal, you can do helicopter tours of the islands, swim in shark cages, trek to flowing lava or swim with wild turtles in some of the lagoons. If someone were to pop the question to me in Hawaii, this is one of my fantasies: Taking a leisurely evening walk to a secluded cliffside overlooking a vast expanse of ocean, we hold hands while watching the sun go down and just as the sun shoots out its last burst of color, have my guy get down on his knee and ask the all-important question. You might be thinking, “Myanmar? Are you serious?” Yes, yes, I am. With wide open landscapes and fantastic sunsets, Bagan can be a truly romantic, and very unique, setting. As Myanmar is becoming a hotspot for travel, I can definitely see more and more people popping the question here. While it may not have the lush greenery and rolling waves of a tropical island, this Asian country has plenty of unique landscapes, cultural experiences and one-of-a-kind views. Myanmar isn’t ‘romantic’ in the traditional sense, but it provides a unique backdrop that will make your proposal stand out from all the other stories. If your significant other is into history, archaeology, architecture or anything ancient, Bagan is a great choice for a meaningful engagement location. 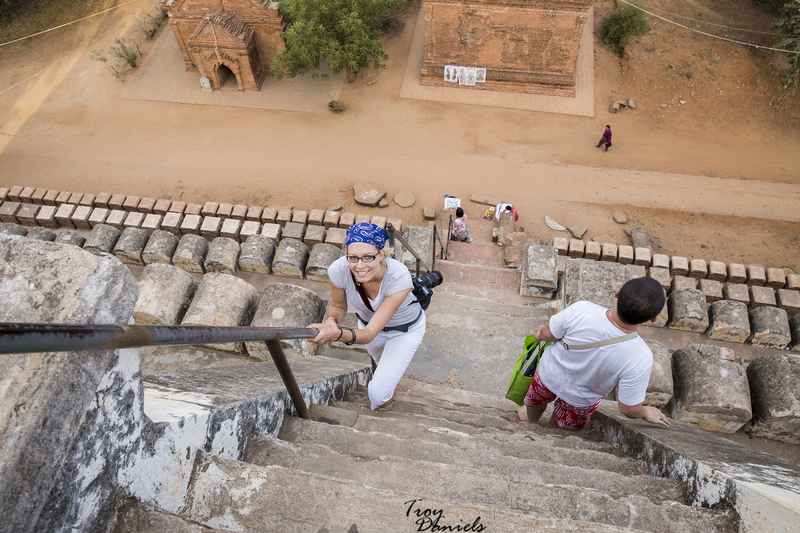 You could choose to stand atop a ruin overlooking a landscape dotted with thousands of temples, around any of the ruins, atop Mt. Popa (a temple at the top of a volcano that has views for roughly 37 miles on a clear day), in a hot air balloon over one of the lush valleys, or during one of the famously beautiful sunsets. It’s very popular for tourists to gather atop some of the taller temples to get fantastic shots of the landscape as the sun sets (you can see my sunset pictures here and here), so you could definitely pull someone aside and ask them to snap a couple pics as you pop the question. If you’re like me, you’ve heard of the Northern Lights, but have never had the opportunity to see them. It would be so romantic to spend an evening walking under the Northern Lights and watch them dance across the sky as the stars start to appear. And the great thing about the Northern Lights is that they can be seen from a variety of places. The lights appear in the northern hemisphere from about November-March and can be seen from Alaska, Denmark, Scotland, Canada, Greenland, Finland, Iceland, Norway, Sweden and Russia, to name a few places. You could spend the day exploring the area and then after a lovely dinner go for a leisurely stroll or go out later when the moon is high to add another dimension to the romantic element. On the way back stop by a cafe to warm up with some hot chocolate or head to a hot tub to keep the romance going. Since so many people have different ideas about romance, I asked some friends what they would recommend for the perfectly memorable romantic setting. They had a lot of really great suggestions. Bret & Mary from Green Global Travel recommend Bora Bora in Tahiti for a pampered and luxurious romantic experience. With its brilliant blue waters and over-water bungalows, Bora Bora (whose name in the Tahitian language means “first-born”) is a luxury traveler’s dream come true. With two mountains in the island’s center and a lagoon and barrier reef surrounding it, it’s an idyllic getaway for the 3 R’s: rest, relaxation and romance. The Four Seasons Resort Bora Bora is so sultry and seductive, it’s hard to imagine not being in love there. From the moment you arrive at the airport, welcomed with fruity tropical drinks and hand-made traditional leis before being whisked away on a small yacht, your every romantic fantasy is catered to. Want stunning views? There’s the towering peak of Mount Otemanu right out your window. Want to soak your stress away? Draw a hot bath in the oversized tub, or snorkel in their private marine sanctuary. Want to feel pampered? Get a taurumi-style (“health in the hands”) couples massage in their gorgeous spa, or have a torch-lit dinner for two on the beach as the sun sets over the mountain. It’s one of the best places in the world to fall in love, be in love, or tell the one you love you want to be with them forever. Don & Heidi of EatSleepCruise say cruise ships are excellent choices for a romantic and memorable low-stress moment. When thinking of somewhere romantic, or memorable to propose, why settle for someplace on land? Proposing to that special someone onboard a cruise ship offers you plenty of variety. Want a view of the sun setting as your backdrop when you pop the big question? Or, is that outdoor lover yours going to say “yes” when you drop to one knee in front a glacier in the Alaskan wilderness? With cruise ships traveling to all corners of the world, proposing on the bow of a cruise ship allows you to customize the proposal. Don’t worry as the cruise lines will be eager to help you. Before setting sail you can reserve a special area of the ship for the big proposal or plan a romantic dinner for two at a specialty restaurant. They will even decorate your cabin with flowers, and deliver chocolate covered strawberries and champagne. The options are really endless and once you two are officially engaged, you can even have pictures taken right onboard the ship to use as your engagement photos for a fraction of the cost! Rishabh & Nirali of Gypsy Couple find Mauritius to be a perfectly memorable romantic spot. Mauritius, for both of us remains the most romantic place we’ve visited. It was definitely more special to us since we’d gone there on our honeymoon, but its easy to see why anyone would want to propose there. The beaches are pristine and rainbows were frequently sighted (we once saw a double rainbow while we were there). There are tourists here, but not so many as to invade your sense of privacy. It’s always easy to find your own special corner if you give the touristy hot zones a miss and sometimes even if you don’t. We both love the mountains but somehow our most memorable romantic moments are of the sea. There is something about proposing barefooted on the white sand with the sound of the crashing waves providing the background score to your “Will you marry me?”, we cannot even begin to think of someone not saying yes to this perfectly scripted setting. Lindsey at Malibu Mama Loves has found Horseshoe Bay to have a perfect all-day experience that will lead up to the perfect moment to pop the question. Are you an adventurous couple? Are you ready to propose and looking for the most brilliant and unique way to do it? Horseshoe Bay may be just right for you!! Imagine waking up in a private beach bure or luxury treehouse at Matangi Private Island Resort in Fiji with the love of your life, enjoying a yummy breakfast and hoping on a little outboard boat to take you to literally the most romantic place on earth – Horseshoe Bay. A little piece of paradise left untouched and unseen by most people. 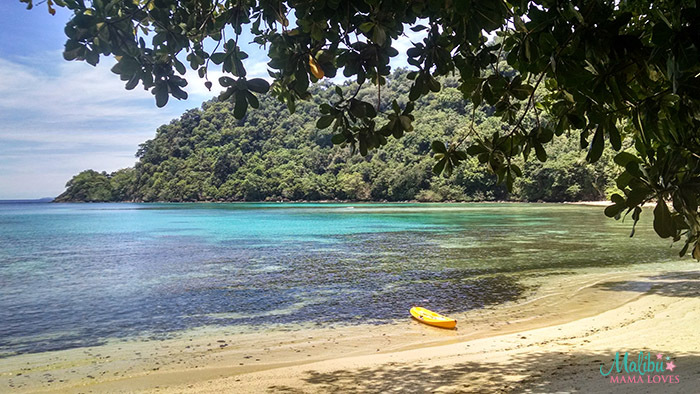 Beautiful reefs and colorful fish decorate the sea bottom – perfect for snorkeling, there is a long stretch of coastline – perfect for kayaking and the sandy beach – heaven! You both are dropped off with a gourmet lunch, snorkeling and kayaking equipment and some towels with only a little beach hut there. It is in the low 90’s, a nice breeze is coming in off the water and for the next 4 hours, it will feel like you are the only two people on earth, symbolic of entering into a union like marriage alone, together. As the boat leaves, you take your love in your arms and…. Paula & Gordon of The Contented Traveller may not have gotten engaged in Paris, but they still think Paris is brimming with romantic energy. Paris and Love are synonymous, and without a doubt, you need to place it on your list when planning a memorable marriage proposal. Did Gordon propose to me in Paris? No, he wrote it on a paper tablecloth at a winery in Australia, in crayon. I still have it, which goes to show that you do remember these important occasions. It is hard not to feel romance in the air when you go to Paris. The whole city has a history of romance. Movies are made where romance is the star in Paris. Breakfast at Tiffany’s and Paris go hand in hand as a love story in this city. Paris city is the city of Love and the City of Light and is at its most romantic at night-time. This is the ideal time to make the move, so to speak. There are so many places that you could choose from the iconic ones like the Eiffel Tower, strolling along the Seine, in the Tuileries Garden or at any of the fantastic and romantic restaurants. You could even do the whole get both your caricatures drawn in Montmartre, and have the artist add the proposal as part of it. Many people choose to propose on one the bridges crossing the Seine and the Pont des Arts, and Alexandre III bridge with its beautifully ornate street lamps, are excellent choices. Stefan & Sebastien of Nomadic Boys found Koh Lipe to be the perfect blend of beauty and romance. We visited Koh Lipe in South West Thailand last year and is by far our favourite island of the country of all the ones we’ve been to. It’s got everything – beautiful beaches with incredible sunrise and sunsets, lots of decent restaurants, bars and other hangouts and whilst it’s become more commercial over the years, it still retains that something special. Sometimes a memorable proposal doesn’t have to be anywhere exotic, fancy or far-away. Or require any fancy bling. Sometimes the most romantic proposals come from locations that are special to you both and a ring fashioned from something meaningful. Craig & Gemma of Two Scots Abroad share their special moment to show that you don’t need to go all out to have the perfectly romantic moment. Craig is a space geek so the location of our engagement last year will come as no surprise. 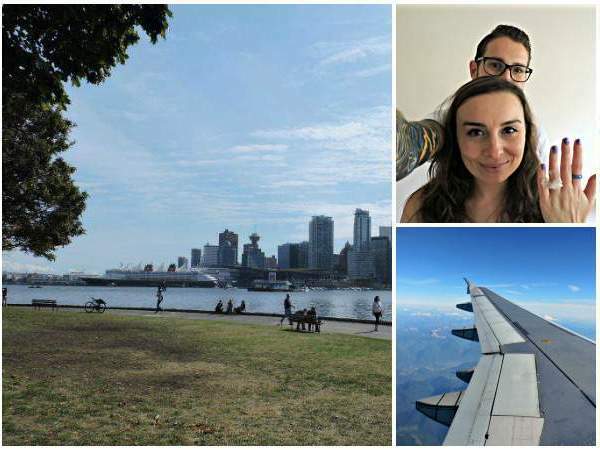 Craig used to live in Vancouver and has always seen it as his calling to live there full-time in the future. I met him years later but he was keen for me to agree so we spent six months there on our eighteen month career break to travel the Americas and Europe. It is an amazing city full of nature and friendly people. Craig suggested we go see a show about planets at the H.R MacMillan Space Center in Vancouver and I agreed. At the end of the show, under the fake stars, he got down on one knee and asked me to marry him with a ring fashioned out of a plastic straw cover, which had been attached to my day pack since Cuba. I said yes, of course, and we celebrated that night in fancy dress with friends and wine! When we get back to Scotland in August we plan to start the application for immigration. So Craig got what wanted, the girl and the city! As you can see, the perfect proposal can be made perfect in so many different ways and in so many different places. Whether you are looking for something fancy, exotic, rustic, simple or adventurous, there are tons of different options all around the world. And no matter where you choose, your proposal will be memorable because it’s you and the one you love in a moment that is special all on its own. Do you have a great proposal story or place you think would be perfect for a memorable proposal? Tell me in the comments! These places are so picturesque and stunning! Great post, Erin! These are some fun places to think about. Nice post thank you for sharing. Steps I must take: Get a boyfriend, travel to one of these places, have him propose lol. I think these places would be romantic. I won’t say no to a proposal while vacationing in Bora Bora! LOL That would be a dream! Omg yes to all of these places!!! I have always thought tropical beach proposals are the best!!! These are all fantastic ideas for a proposal location! The Northern Lights is my favorite location suggestions! These all look like really nice places to propose. I wish I as proposed at some of those lol. What a great way to propose, I am not sure I could pick just one as my favorite idea! Love all of these places. I also see a lot of proposals in hot air balloons. Very romantic! It’s always nice to be able to do it in a beach or a tropical island, I don’t know why but it adds more to the romantic feel, doesn’t it? I think Paris might be a common place but it’s also on my list of places that people can propose to, other than these lovely places that is! What a great piece. Glad to see lots of our friends featured as well! We are all about a unique place for an engagement (which is why I like your pick of Myanmar!!!! )…some place that is going to have an awesome story for years to come. What beautiful places for a proposal. My husband surprised me during a bowling night. He went for pure surprise. If it is the right person, anywhere is a good place. Wow! Any of these would be amazing, and so romantic I think! They all look amazing and like a dream for anyone who is looking to propose! Would be awesome. These are such beautiful places. Any of these locations would be fabulous for a proposal. I’ve always wanted to visit Tahiti. Awesome article, all look to be such beautiful places for such an important moment! I wonder how many guys actually put forth this sort of effort or how many even think about the location in which they will propose. Or ladies, ladies can and have proposed. Congrats to Craig & Gemma! What a fun story – and those places are incredible options for engagement locations! I hope to visit many of them in the future! This is quite the list and while a lot of these involved water, sand and the sun, these are some excellent places to propose! My favorite was either the place where you can easily observe the sky or the one that is (for whatever reason) the place that is significant to you both. Also, I think it would be wonderful to be proposed to in a spot that’s particularly meaningful to the couple. You’ve picked places that would work for just about anyone! What fabulous ideas! omg i love this. my dream would totally be paris. Northern Lights, what a dream! Thank you for featuring us!